My name is Corey Fergus. 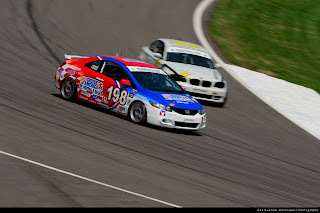 I race the #198 Honda Civic Si for RSR Motorsports in Grand-Am’s Continental Tire Sports Car Challenge ST class with co-driver Chris Puskar. For the ninth race of the season we were at Kansas Speedway. This track is most familiar to fans of NASCAR, as it’s mainly an oval track. Recently, an infield road course was paved, making it a track we could visit. The configuration we run is what we call a roval or a road/oval course because we use the combination of the two. The track is similar to Daytona or Homestead in that respect. great opportunity to get some variety and experience other types of cars I’d never driven. Even though I hadn’t been in an ST car on the track, I was prepared before heading into the race weekend. iRacing, an online racing simulation, recently got Kansas Speedway as well, so I could actually practice doing many laps around the circuit. When I arrived in Kansas, I was ready and already ahead of the curve. This race weekend was a little unique in that we had just been at Road America the week before. The team actually drove straight from Wisconsin to Kansas without going home. As a team, we skipped the test day to give the crew guys a break and catch up. That tight schedule left very little time to work on the cars. At Road America, another competitor damaged our car. 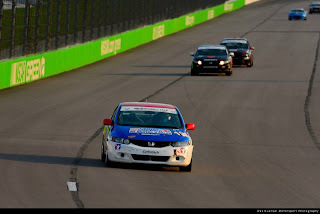 Because of the back-to-back weekends, it could not be fixed for Kansas, so we had to campaign the older Honda Civic that I ran in the beginning of the season. The older car doesn’t have quite as much torque or power. A track like Kansas, with a huge straight, really made me miss the new Honda! Kansas Speedway is an interesting place. I think the venue makes sense from an economic point of view. 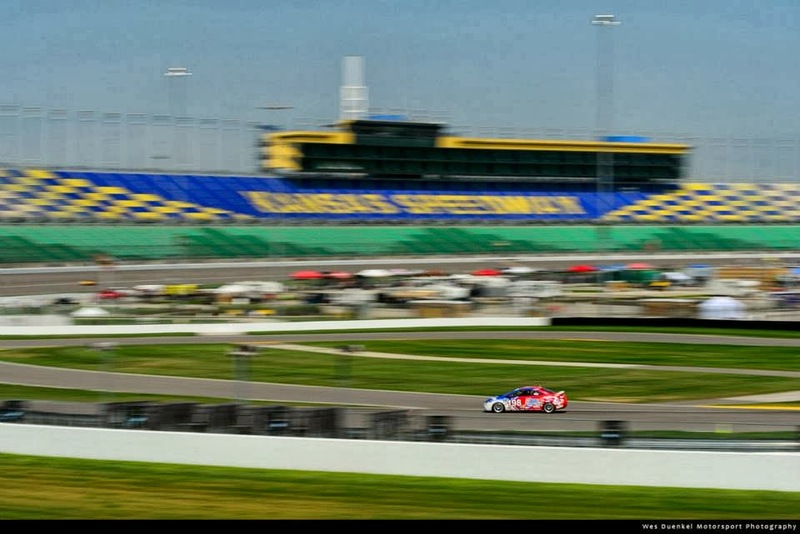 There is so much to do by the racetrack to attract fans. There’s a casino, mall, soccer stadium, baseball stadium, and theme park nearby. From the racetrack point of view, I’d say the fun meter wasn’t exactly pegged. The infield course could have been a lot more technical. It’s needs to be a little bit more demanding. I think adding a bus stop would help to separate the men from the boys. With two races left in the season Honda is still hanging in there. In the three-way tie for the championship lead are Ryan Eversley and Kyle Gimple in their Civic Si. Honda is also in a close third in the Manufacturer’s championship. Look out for our next blog from Mazda Raceway Laguna Seca in Salinas, CA.